Hi Wendy, tell us something about you by way of introduction. 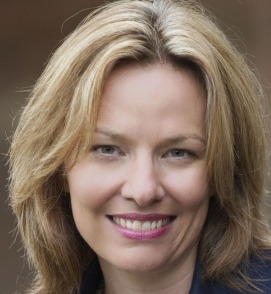 I’m Wendy Kendall, business psychologist and Director of the Global Business Stars Academy. I’ve worked for myself for more than 10 years now, following a family move to SW France in mid-2003. I was a military psychologist for 7 years before I moved, helping soldiers and officers to train and fight more effectively. One of my favourite projects was being lead scientist on the first Ministerial review of women in the combat arms. That meant a deep dive into the scientific evidence about how men and women can work together effectively across the world in some of the most challenging conditions people can ever experience. Now tell us about your business. What’s it all about, how do you think and feel about it? The Global Business Stars Academy focuses on helping people with global careers to translate their talents and strengths after they move overseas so that they hit the ground running in their new job and maximize the value they create as soon as possible. People tend not to realise that the talents and strengths that made them so successful in their home country don’t automatically function for them after they move abroad. It can take them months, sometimes years, to work out how to become successful again in their host country, which is a lost opportunity in terms of maximizing growth for themselves and their company. Some don’t recover and end up feeling irrevocably divorced from their talents, demotivated, in a career backwater or even lost. They return to their home country demoralized and leave the company soon after. This is an expensive disaster for companies and their global talents. Travelling your Talent is a skill that goes deeper than integrating into a new culture; it’s about redefining, reconfiguring, reconnecting and repositioning your talents and strengths in your new country and making sure your resilience and relationships are also travel proof. At its most basic level, this was also the focus of my work with the military who are also required to ‘hit the ground running’ when they deploy internationally and also have to build extremely strong relationships within their teams and an immense amount of personal resilience so I draw on my unique experience in this area to help company executives. These two client groups share a similar imperative – there’s no room for any kind of ‘performance dip’ as they get used to a new environment. Global Business Stars Academy operates as a network of experts and specialists in global talent development, and I am the Director with overall responsibility for the strategic direction of the company and technical lead for developing our products and services. My office is home-based but I collaborate with my associates using all the normal media. I do fly around quite a bit to work with clients though as they all tend to be an aeroplane ride away. It’s necessary for me to live close to an international airport. In the short term, my aims and ambitions for the business are to start spreading its wings outside of Europe and to increase clients’ engagement with its online programmes. It’s an inherently global business and we need to Travel our Talent further afield too. In the longer term, I will be looking to partner with other inspiring global coaches and mentors to deliver the Global Business Stars Academy programmes. Get really clear and focused on your Talent Currency. This is the very first step that we teach to our global clients too. There are numerous ways that you can find out about your strengths and talents. One of the quickest ways is to take a free or low cost strengths survey, such as the VIA Me. As you start to ‘catch yourself’ using those strengths and talents, make a note of how they work for you, what and how you use them, and then work out how you can Turn Up the Volume on those success strategies: use them more often, in more situations, with more attention and more energy. I have worked with more than 2000 global talents over the last 10 years and find time and time again that even small changes in your strengths volume leads to a big positive change. In fact, putting your strengths and talents at the centre of what you do is said to be the smallest thing you can do to have the biggest positive impact. I started my business ten years ago, having moved my whole family overseas and I realized I’d moved to a country where there wasn’t really even a word for what I did. Talk about starting up in an emerging market! The aspect of my business that I struggled with most in the first few years was getting super-razor-crystal clear about my niche and who I served and how my talents served that niche. The clearer I got on these points, the better my business worked. I have audacious stickability when it comes to realizing a project. I simply do not quit. I might have to find different ways of achieving my aims but I will try them all and, each time I hit a snag or obstacle, I will either chug on through or find another way round it. There’s really no stopping me. Did you choose self-employment or did it choose you? Any regrets? I chose to move with my family to south west France and I chose to move out of quite a restricted niche, which was military psychology. It’s very hard to have a global career in that niche because living overseas often means you won’t get the security clearances needed. To make these choices work, I needed to opt in to self-employment so it sort of chose me in that respect. But establishing my own business was always on the cards for me. I ran my first business venture when I was 8 years old and for a couple of years during the long summer holidays. I collected unwanted household items from our neighbours and sold them on an impromptu market stall in front of my childhood home during the summer holidays. It was an all-round win-win: people got to clear out their cupboards, I was able to get ‘stock’ without any outlay apart from the time to collect it and my customers were able to buy the items cheaply. Nowadays, the authorities would have a fit about such an escapade but I learned invaluable life lessons in entrepreneurship. There’s really no need to languish in a job you hate, doing work that isn’t meaningful to you. Even if you have to start incredibly small, make a start and just keep working on it. Building a magical, fulfilling business isn’t rocket science and there’s a whole world out there looking to embrace you and help you on your way. Do you have a project you would like readers to know about? For the next month, I am conducting special complimentary consultations with people who are on their first or second job international move and who want to learn more about how to travel their talent. I have made 10 time slots available in my calendar and this is a special offer from me because I am just in the early days of launching the new Global Business Stars website. I conduct the consultations by telephone or Skype and they last around 45 minutes. During the consultation, my goal is to provide you with some real value, help you to get really clear about how you can travel your talent, understand what is standing in your way and what can be some initial, specific steps that you can start taking. Can’t wait to connect with you! You can go to my homepage at GlobalBusinessStarsAcademy.com and click on the link to book your Travel Your Talent Strategy call, which will take you direct to my schedule. Certainly, in the early days of running my business, I felt very isolated and lonely. I had gone from heading a team of 7 people in my last job, with lots of meetings and constant interaction with others, to living in a tiny hamlet in a beautiful but isolated part of a country where I knew no one. I’m an extrovert by nature and, not surprisingly given my profession, I love people and I love being around them. But I just decided to organize some workshops for other instructors from around the world who were teaching horsemanship and related topics. Horses are one of my passions. By organizing the workshops, I was able to make friends with people who shared the same passion, as well as gain valuable experience in marketing and organizing events. Some of the people I met on these early events are great friends of mine even 10 years later.